Jasmine Engineering is a full service Project Management and Total Building Commissioning firm with 32 years of experience and a proven track record. 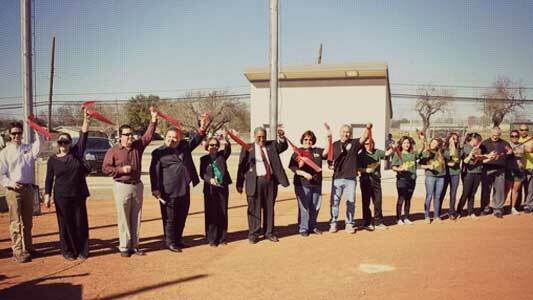 January 21, 2014 –Last week Harlandale ISD held a ribbon cutting ceremony to commemorate the opening of McCollum High School’s new softball field. According to the district, the field was originally scheduled to use the field as a practice facility only however, once the field was completed the district plans to use the facility for games due to its high quality. Read article on the Jasmine Engineering blog. © 2018 Jasmine Engineering, Inc. All Rights Reserved.